It stands to reason that the line, that opening act on a white sheet, should be the start of his fall season. Certainly the long and lean proportions seemed to imply this, as did the sharp cut that bisected his invitation and the contrasting stitches that recalled his tailor tacking and which dressed simple sweater dresses. 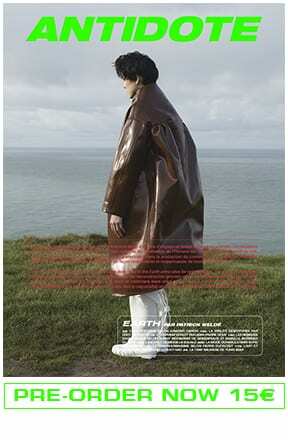 What followed was a procession of mostly monochrome looks which mined many of the designer’s tropes. 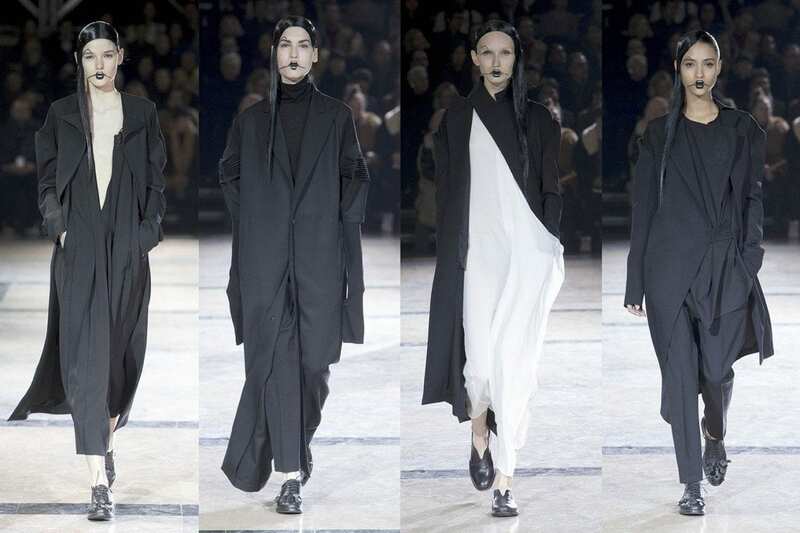 While the designs appeared to be less theatrically voluminous, they were nonetheless intensely Yohji, bringing back echoes of his work, but delivered in a minimal way that felt more congruent with current contemporary tastes. It was perhaps not the masculine tailoring that he finds appealing on his women but that is “out of fashion,” he said after his show. 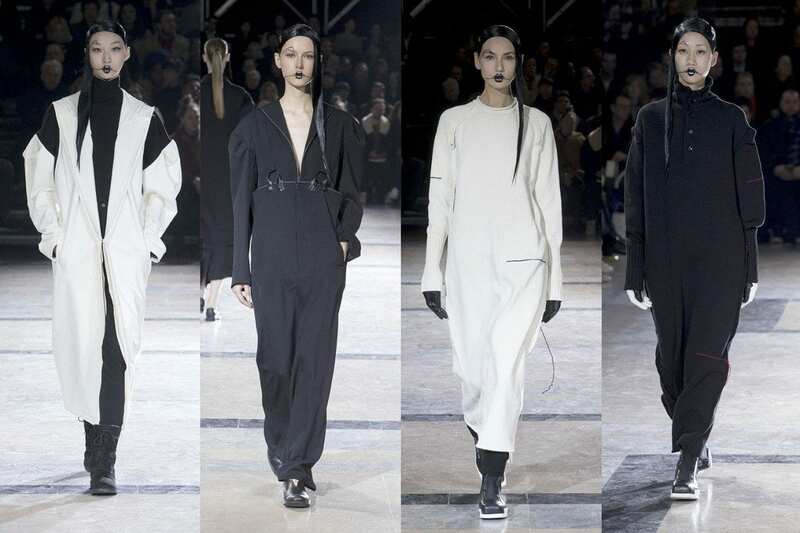 From the silhouettes to the soundtrack – Yamamoto strumming his guitar – everything expressed quintessential Yohji, cut down to adhere to a necessary return to essentials. “Substraction,” as he offered when quizzed backstage. What remained were snapshots of moments: a flash of skin through garments not quite closed or cunningly cut, a fetishistic sexiness linked to sailors and high school kids, a “don’t care” attitude. 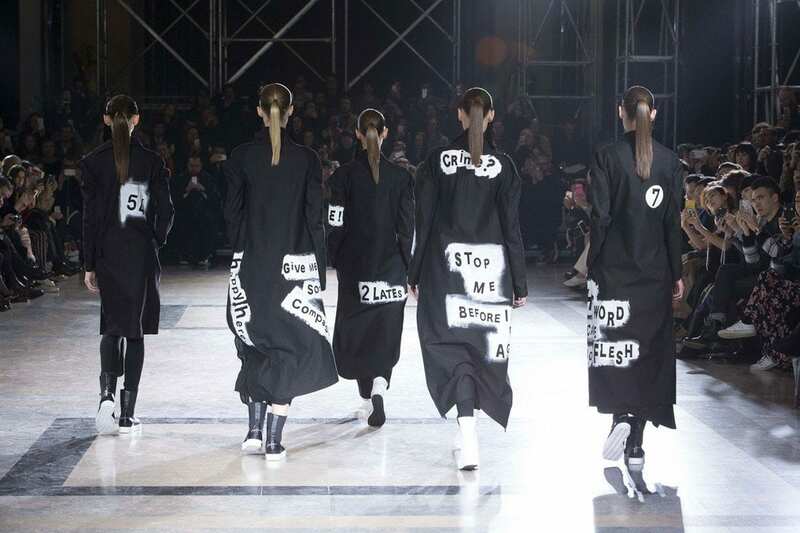 The finale of black coats emblazoned with messages that felt like stream of consciousness, “16”, “Stop me before I f*ck again”, “Lord, I’m not happy here”, “I’ll be back soon”, “His word became no flesh” but hinted at typical teenaged angst, underscored by the melancholy strumming of the designer on the soundtrack. Certainly, it wasn’t the over sexiness or the crypto-sensuality that he’d mined before. The subtraction to reach this? The self-awareness that comes with unsubtly. And the collection was all the more seductive for it.